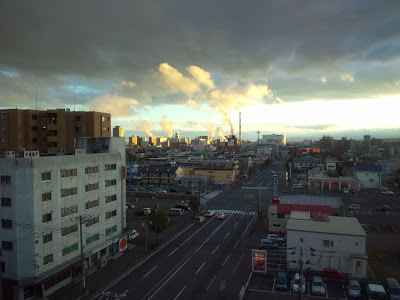 From my hotel window in Tomakomai, Japan's equivalent of somewhere like Hull. Taken with my cellphone. Nice view. I wish I could go on a trip. Good luck with more photos. Great flycatcher pics yesterday Stu - enjoy your pelagic, looking forward to seeing the pics. You know Hull? I'm so sorry! Dont be sorry, i realized after posting that we were not talking about the same Hull, your's is in england myne is in Québec...but i still got a nice laught!